Jamil is a highly accomplished director, producer, playwright and dramaturg focusing on bringing socially relevant art to the community. Jamil is the Co-Founder of The New Griots Festival, which is dedicated to celebrating, advocating, and advancing the careers of emerging Black artists in the greater Minneapolis-St. Paul metro area in Minnesota. Prior to joining the staff at True Colors, Jamil served as the Artistic Programming Associate at Park Square Theatre in St. Paul, Minnesota. 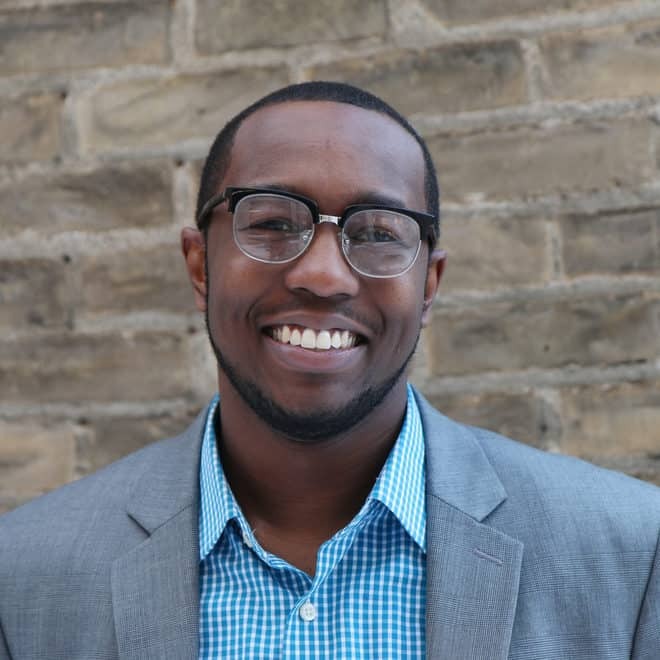 Jamil was a participant in the Mellon Foundation funded Leadership U, One-on-One theatre residency program and previously served as the National New Play Network (NNPN) Producer in Residence at Minneapolis’ Mixed Blood Theatre Company for three seasons. He remains an Affiliated Artist with NNPN. Before joining the staff at Mixed Blood, Jamil served as a New Play Producing Fellow at Arena Stage in Washington, DC and co-founded a culturally relevant theatre company, Colored People’s Theatre. Mr. Jude has lead productions for Olney and Forum Theatre in Washington D.C.; Curious Theatre in Denver, Colorado; Park Square Theatre, History Theatre, Freshwater, Theatre in the Round, Stages Theatre Company, Daleko Arts and Lakeshore Players in the Minneapolis-St. Paul Metro. Jamil has also taught and directed at Augsburg College and the University of Minnesota. As a playwright, Jamil was the 2013/14 Jerome Many Voices Mentee at The Playwrights’ Center, where he continues the role of affiliated writer. He has been commissioned and produced by CLIMB Theatre and D.C. Black Theatre Festival. The Recipient of the Leadership U Andrew W. Mellon/TCG (2015), Management Fellowship Nautilus Music Theater (2014/15), SDCF Observership Member (2014/15), SPARK Leadership Program Finalist (2014), Jerome Foundation Many Voices Mentorship (2013/14), National New Play Network Producer Residency (2011/12; 2012/13). Allen Lee Hughes Fellowship at Arena Stage (2009/10; 2010/11). Jamil received his Bachelors of Arts from Colgate University.